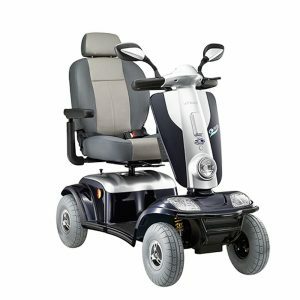 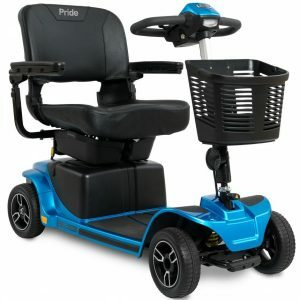 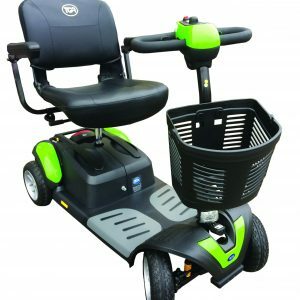 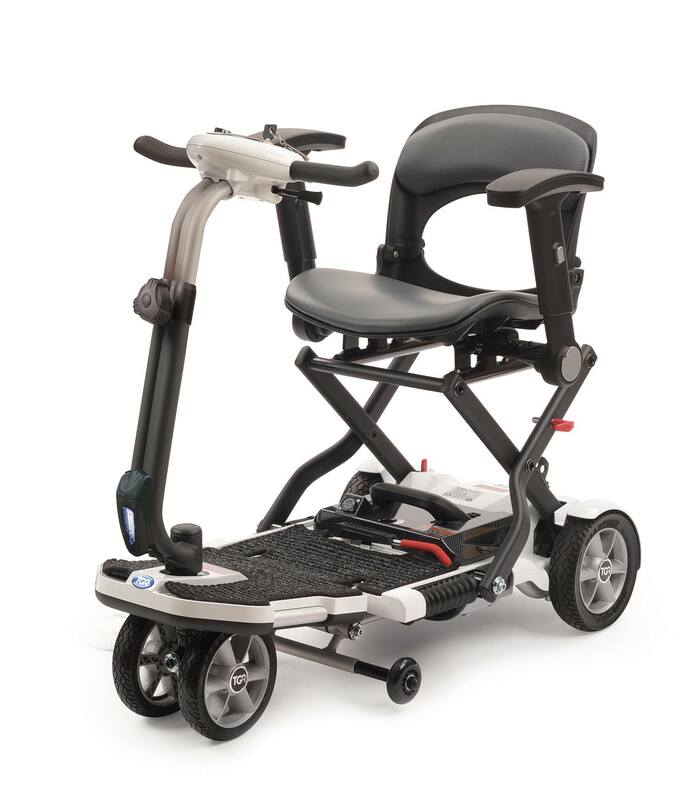 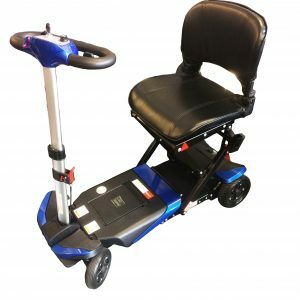 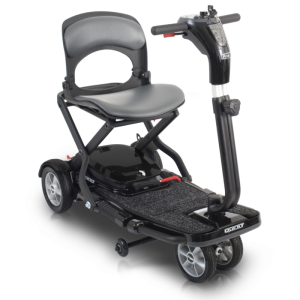 If space is at a premium for storage or transportation but a mobility scooter is still needed than maybe the TGA Minimo is the answer. 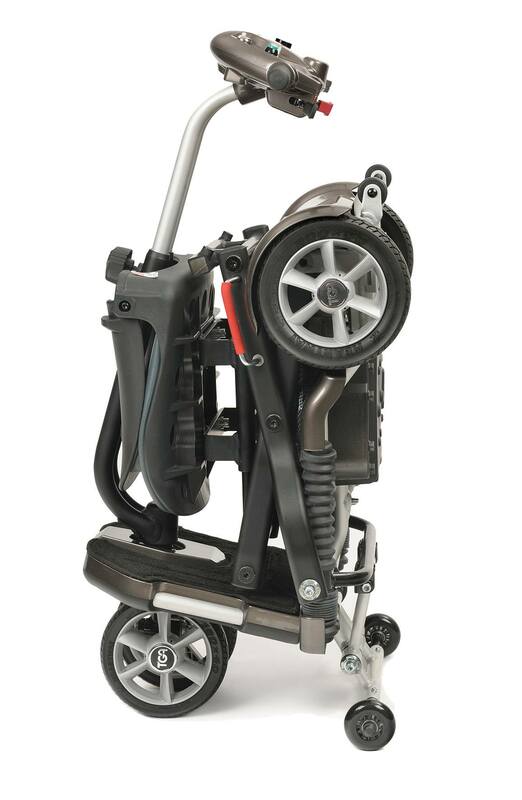 This little class 2 pavement mobility scooter can simple be folded by simply pulling one lever which will fold it into a single compact unit, without having to remove any parts. 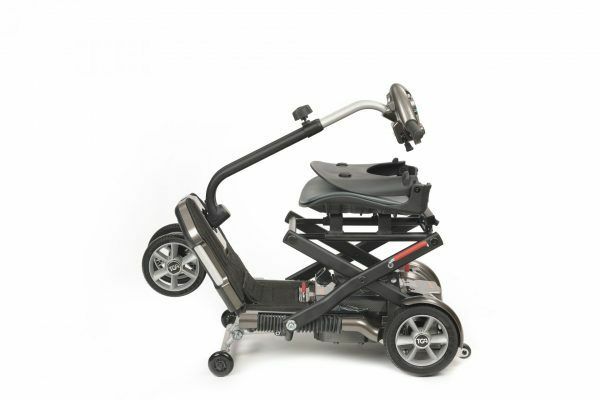 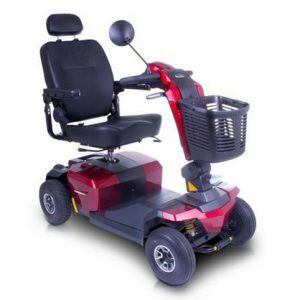 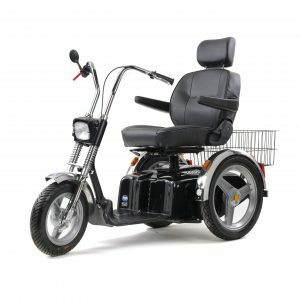 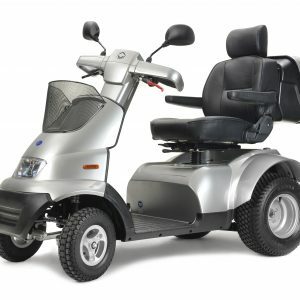 Once it is folded it can easily be manoeuvred with the addition of the small wheels located within the middle of the scooter. 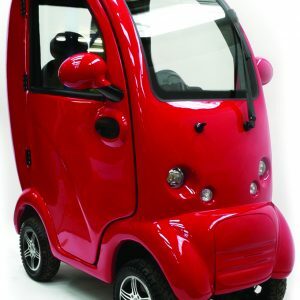 The controls are simple to understand with its led battery gauge and control levers, the Minimo also has a safety feature which automaticly reduces the speed when turning around corners.